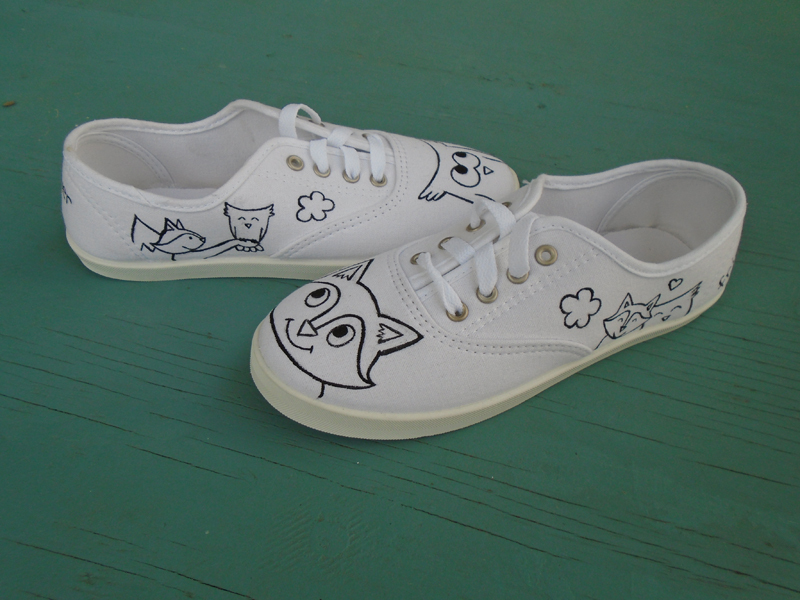 This project was for one of my painting students. 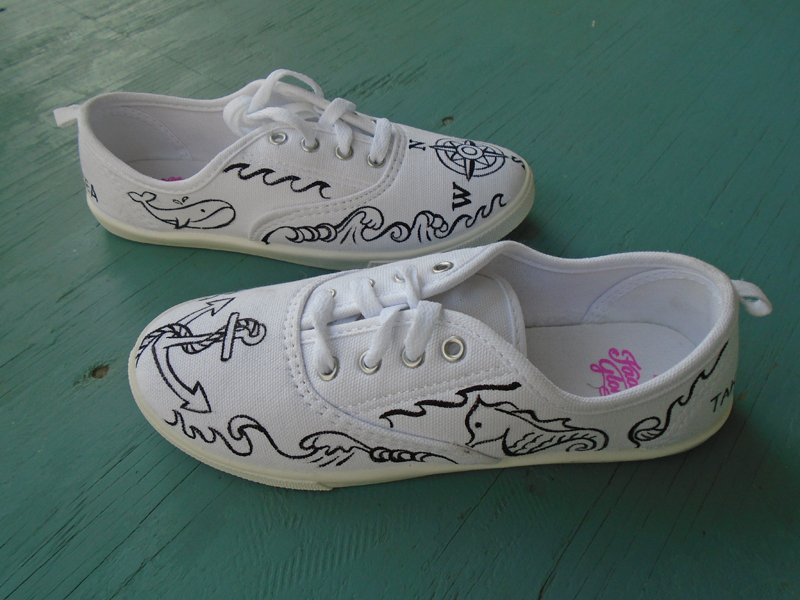 She wanted to have an art birthday party, so I suggested this shoe-painting project. 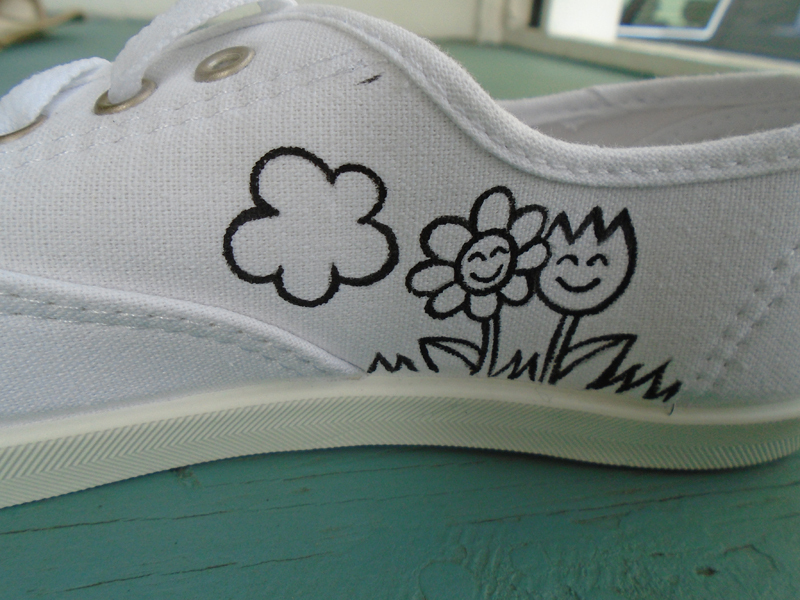 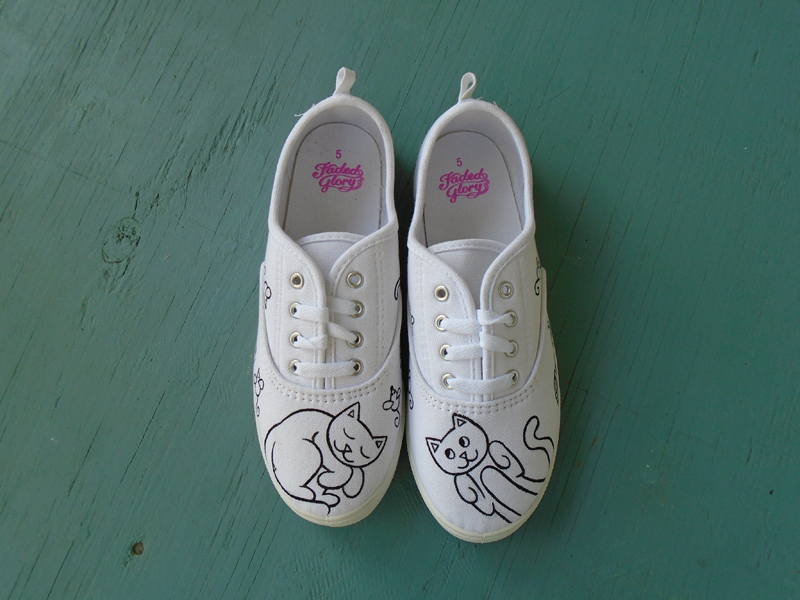 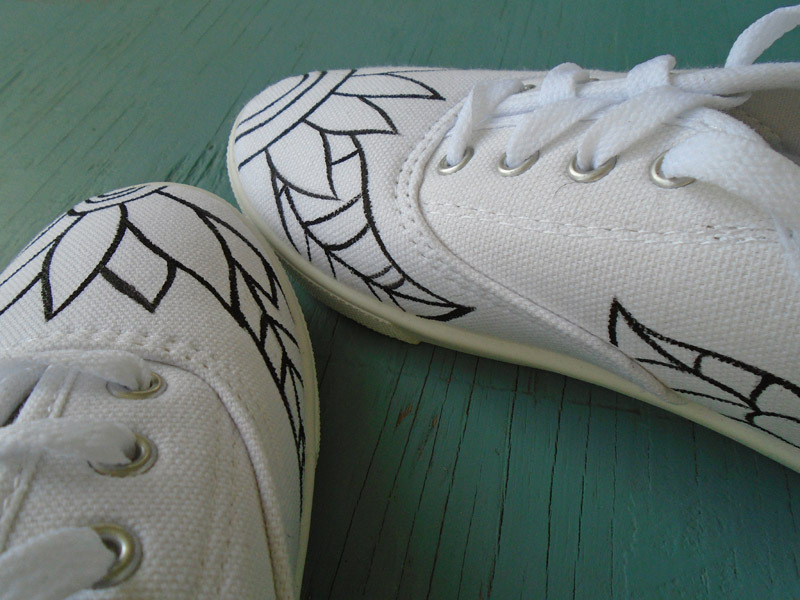 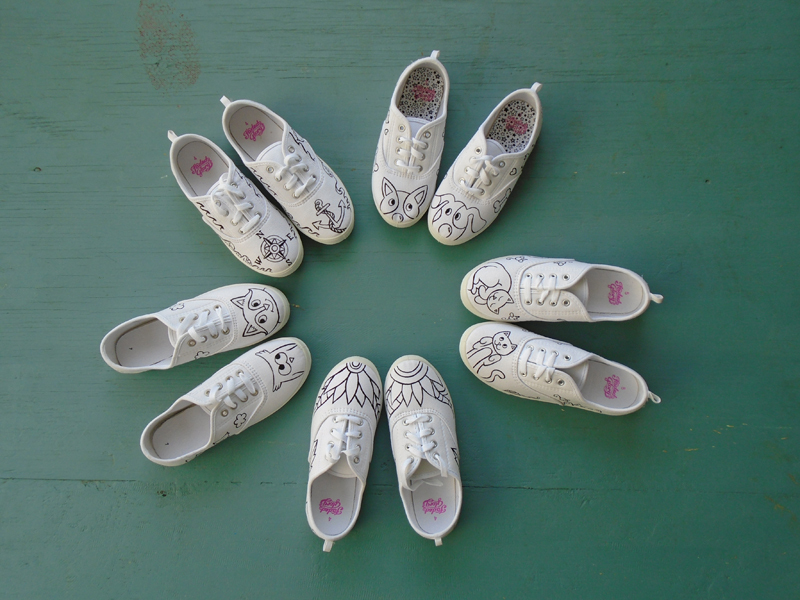 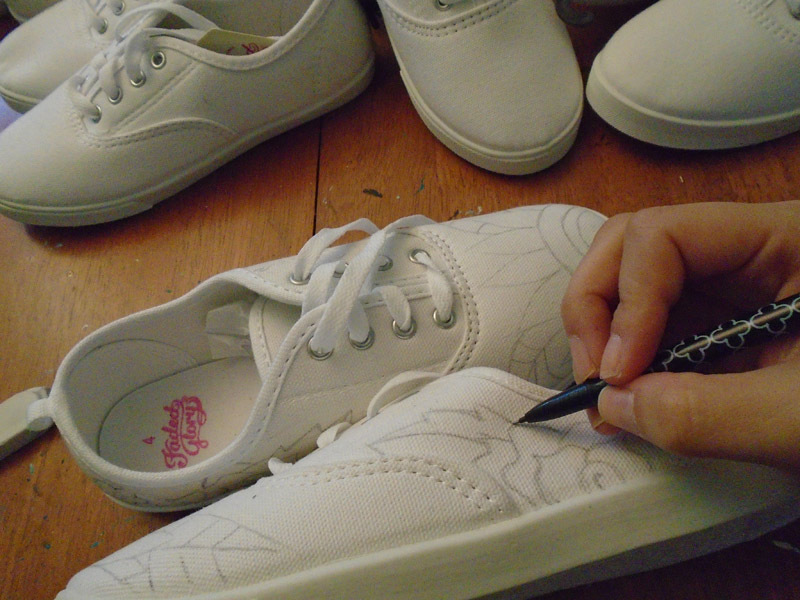 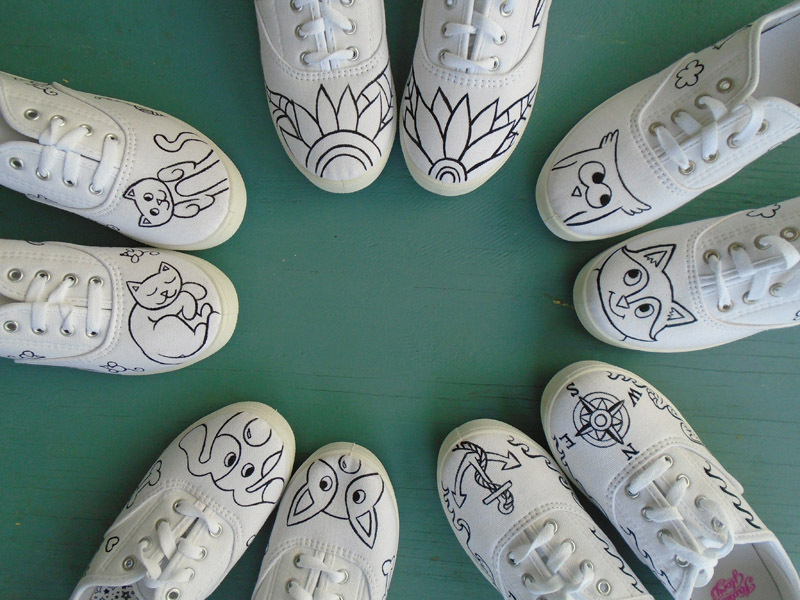 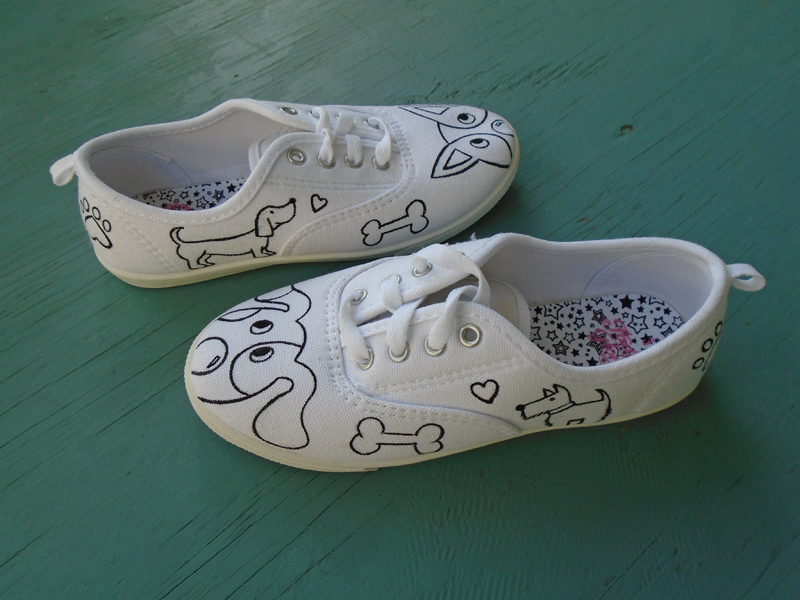 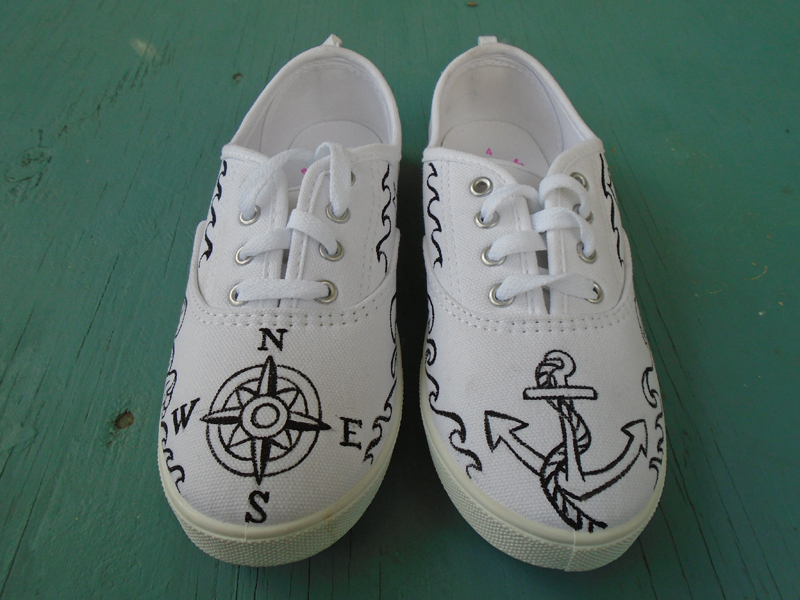 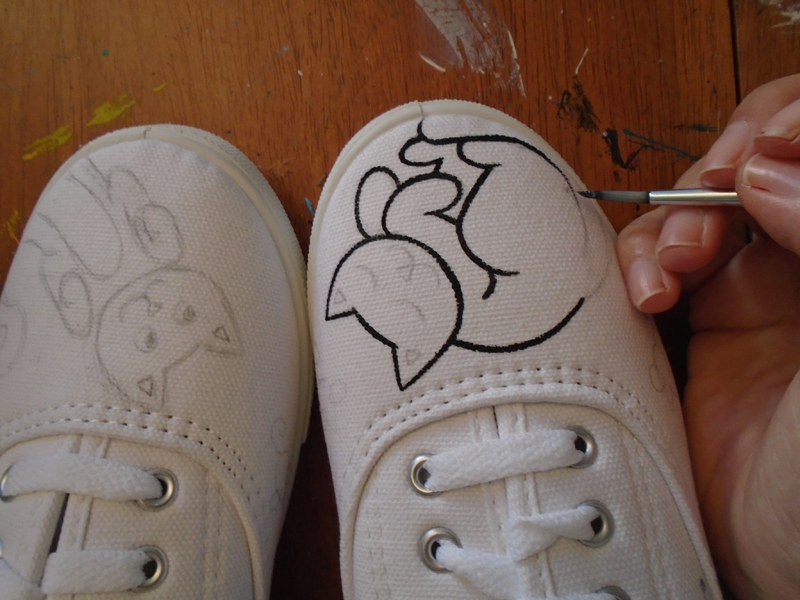 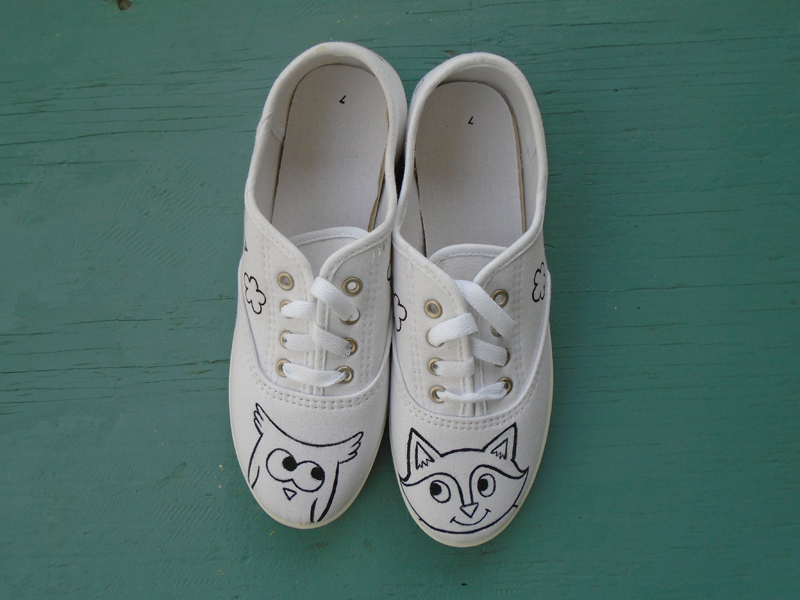 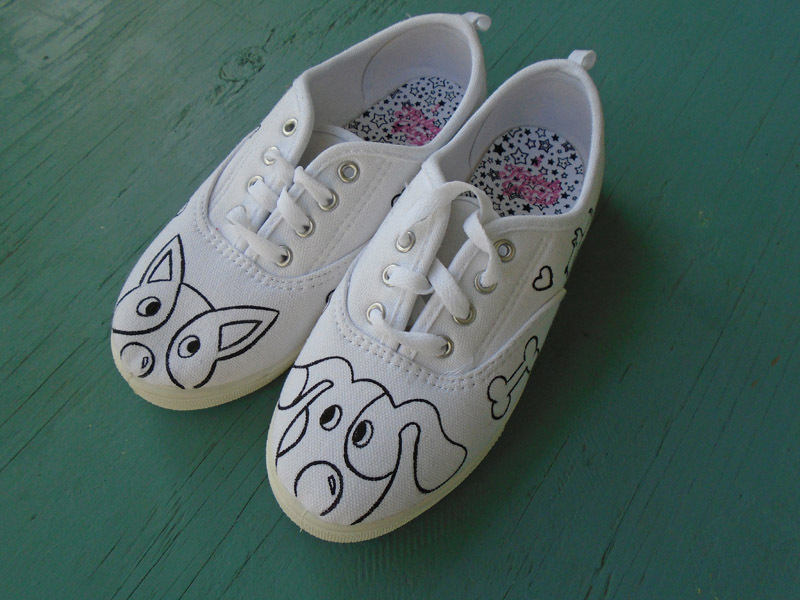 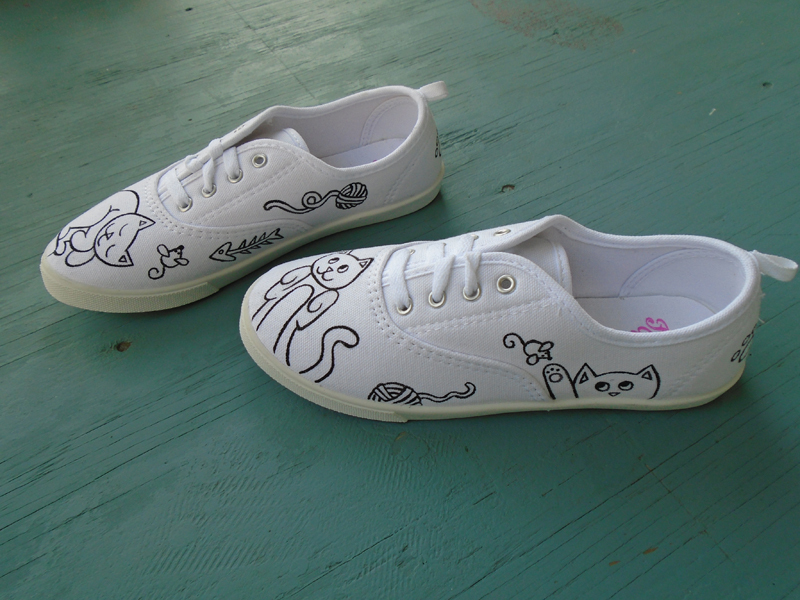 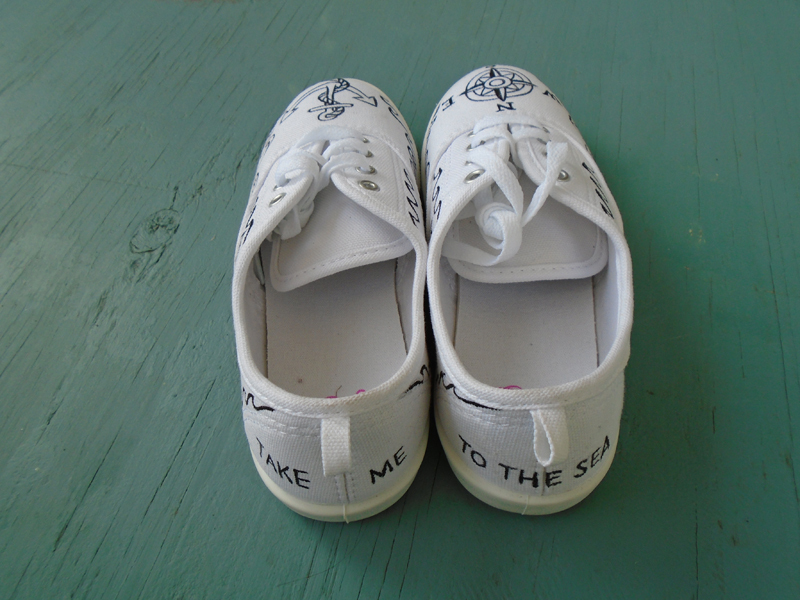 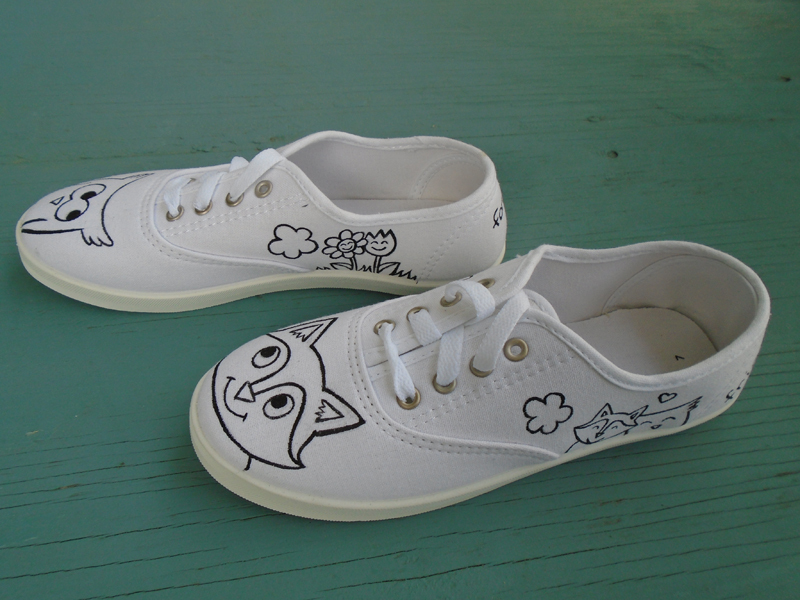 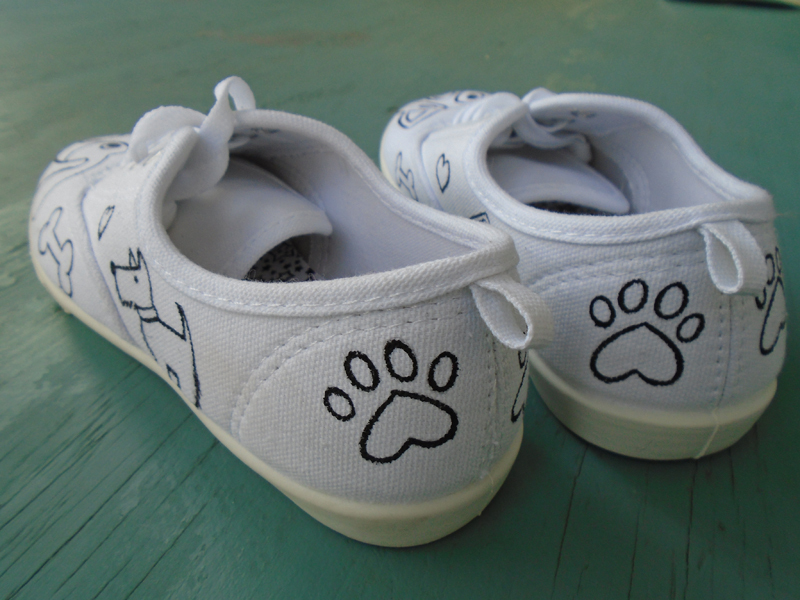 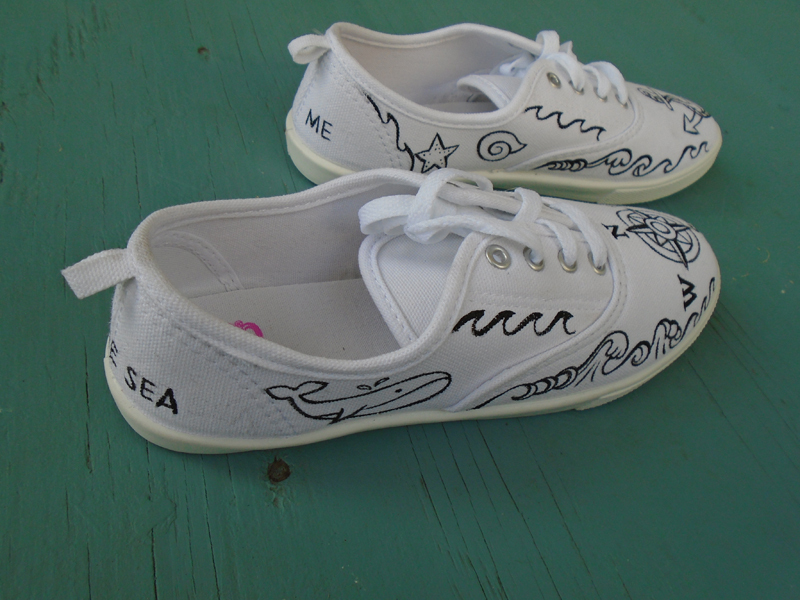 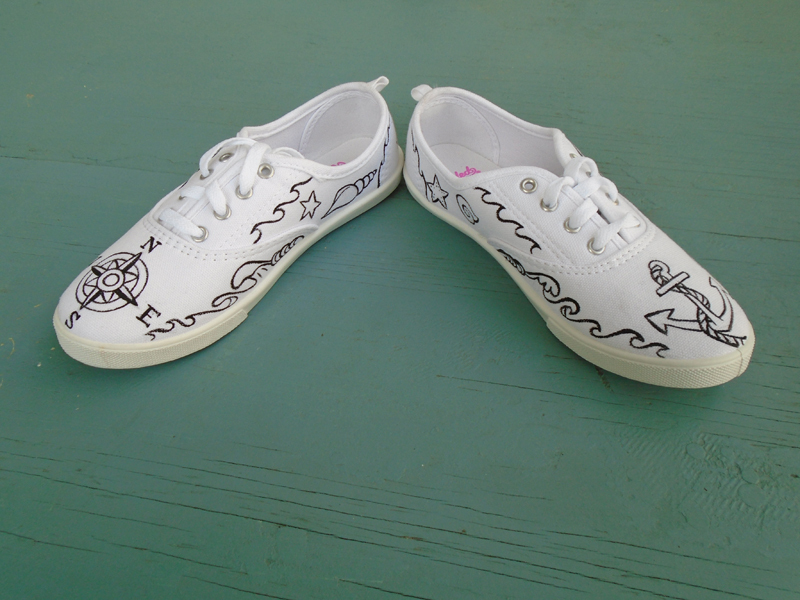 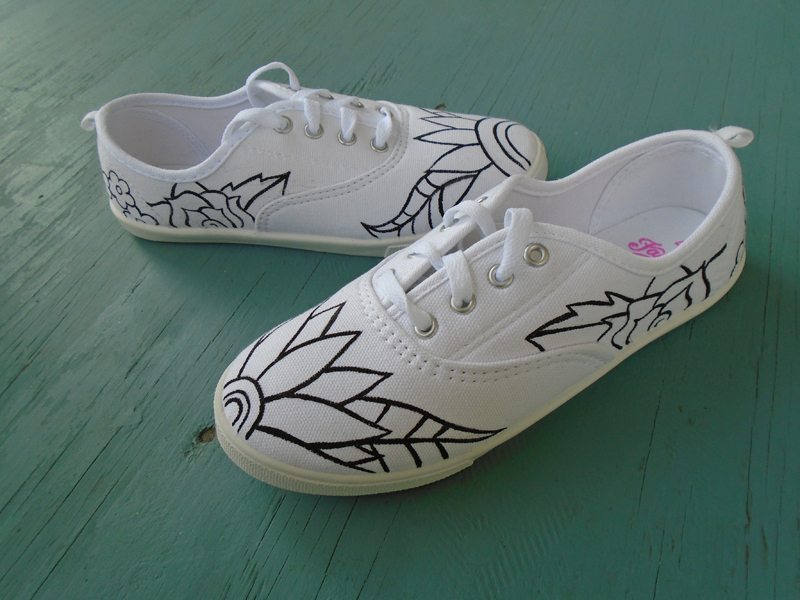 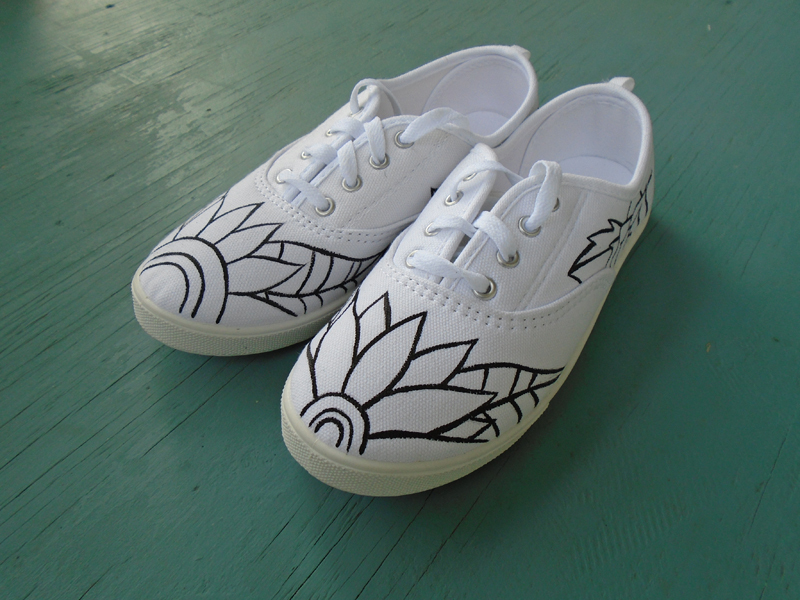 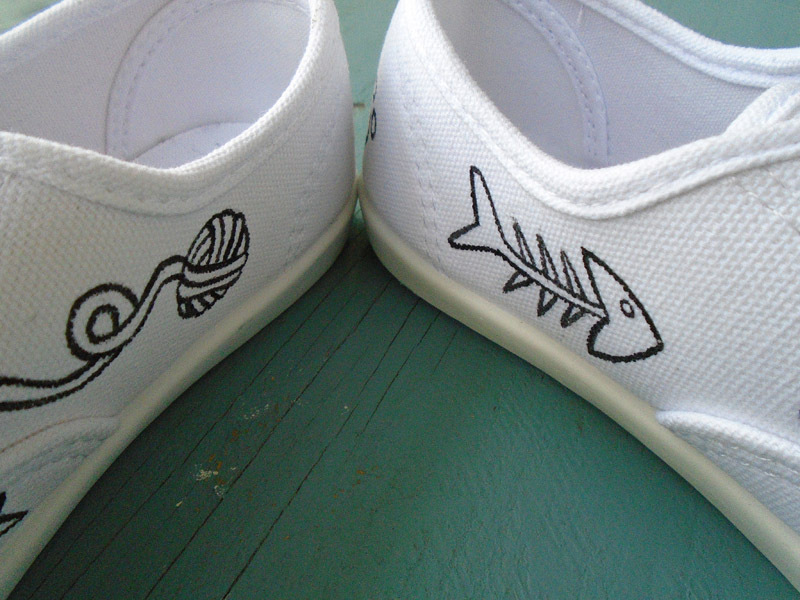 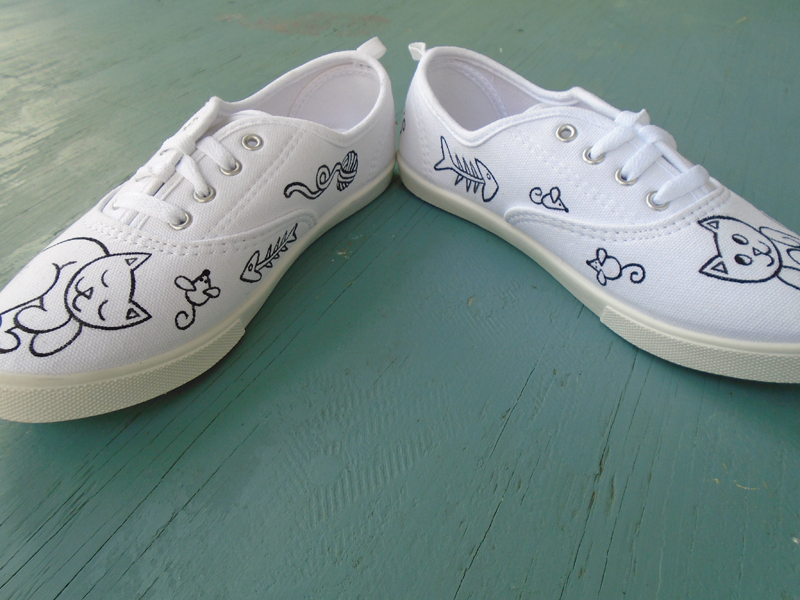 Her mom gave me a pair of shoes for each girl, and I painted each girls’ pair custom for their own special interests. 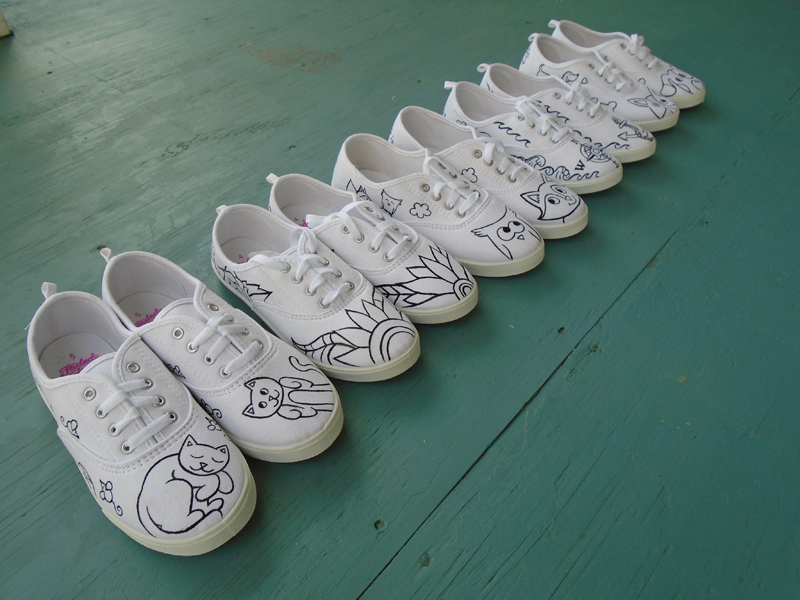 Then, at the party, each girl painted in her own pair (similar to a coloring book, but using paints!) 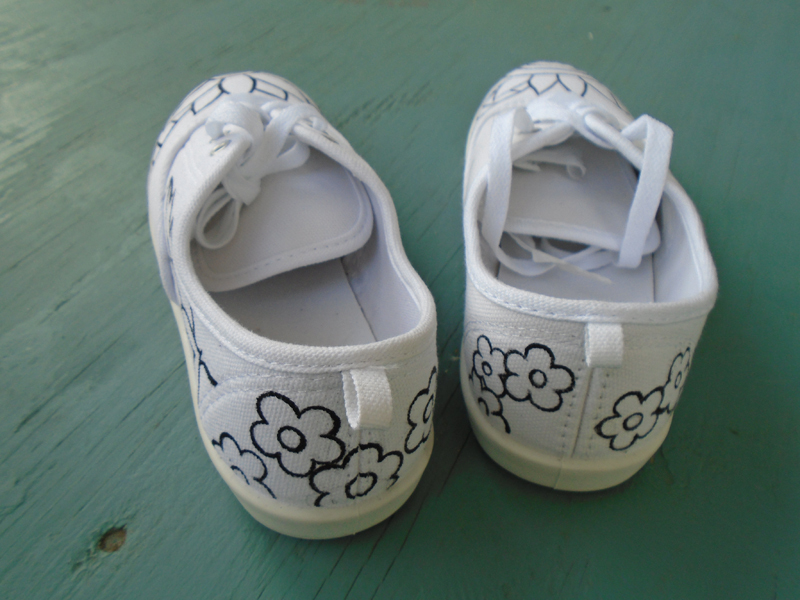 and the birthday girl’s mom sprayed each pair with sealant.